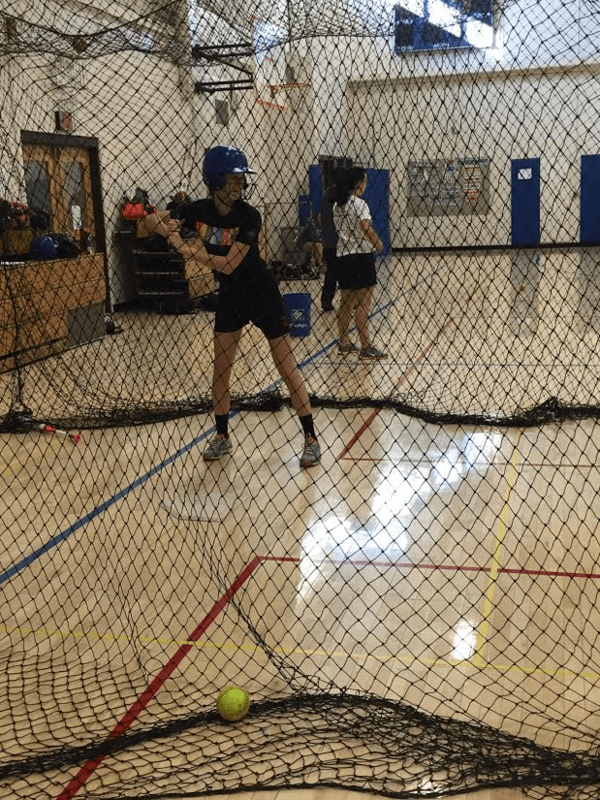 It was a slow start for the girls softball program this preseason, as there weren’t enough players to field two teams. This was surprising for a program that has been strong for many years. The Raider’s Varsity team is in new hands this season, as an experienced coach, Mike Noyes, stepped in to take the challenge of finding more girls for the program. This was accomplished the second day of tryouts when 4 new faces appeared, allowing two teams this season. Noyes was the previous varsity coach at Hazen and ultimately built their program up from nothing. The Raiders are in a similar position this year, with a lot of newcomers joining the program. “I’m glad more girls signed up, especially those that have played in previous years, who have decided to come back. We have a lot of seniors this year, which is exciting since we have been playing together since 7th grade,” said Rich. “I’ve really enjoyed playing again and can’t wait for the rest of the season because I know everyone will be improving everyday and it will lead to some nice wins,” Mugford said. The Raiders are eager to jump into the season, as they spent their last practice working on endurance. Though the weather was icky, the girls took it upon themselves to use the school, as they raced up and down hallways. “I’m glad our coach has been encouraging us to run more because not only are we going to be more fit but it’s going to push us to be better,” Rich said.